In this fast-paced life, it gets difficult to take time for friends and family. In such cases, meal time is the best time for bonding, sharing and creating new memories. 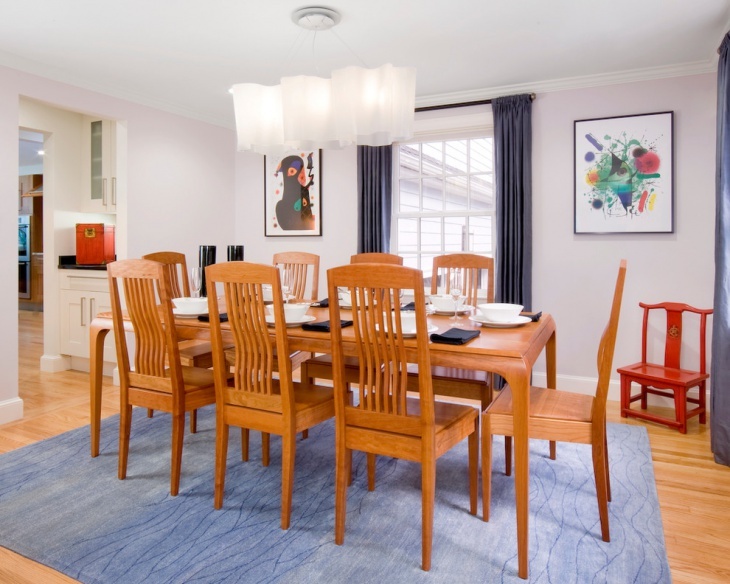 Your dining room is the place where you can have a hearty meal and also a heart-to-heart talk with your loved ones. 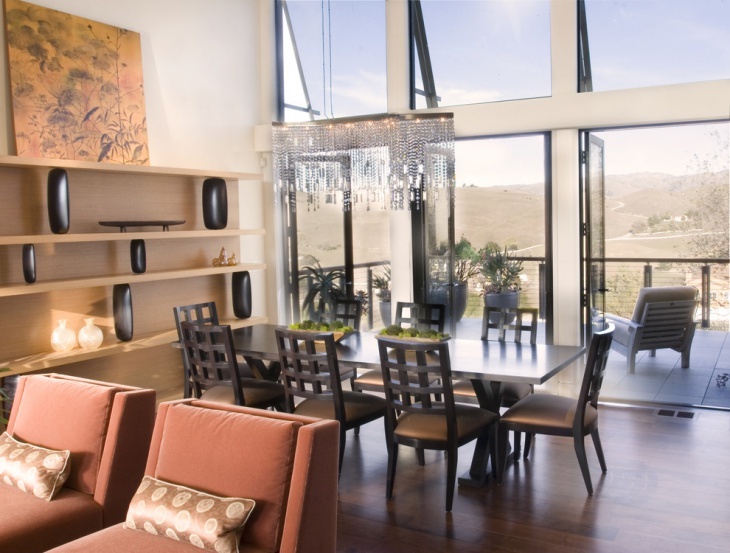 All you need is the right ambience for your dining room, to make it feel special. The right light helps you create the perfect mood and appeal. Modern fixtures like sculptural chandeliers and pendant lighting ideas can completely transform the look of your dining room. This contemporary glossy ceiling light resting above the custom made cherry table and chairs suits the dining room perfectly. This pendant light helps bring all the elements together in this modern space. The frosted circular glass light and the sheen floor lamp are excellent Christmas theme decoration ideas. A single circular pendant lamp is suitable for placing in the middle of a small circular table. The ceiling light sets a snowy winter theme in the dining room. This spell-binding bubble light chandelier from Bocci adds a mystique quality to the environment. The lovely little glowing spheres of light suspended at dissimilar levels make a stunning style statement. 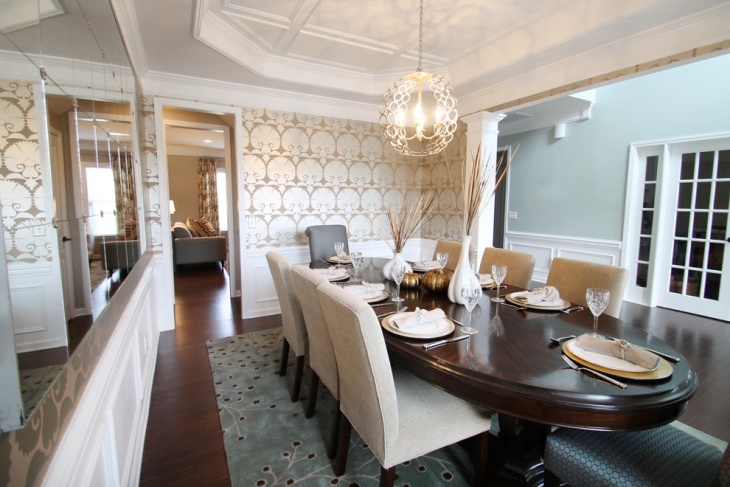 Recessed lighting mounted on the decorative ceiling is also used to enlighten this large dining room evenly. An ornate crystal chandelier is ideal for a traditional setting. 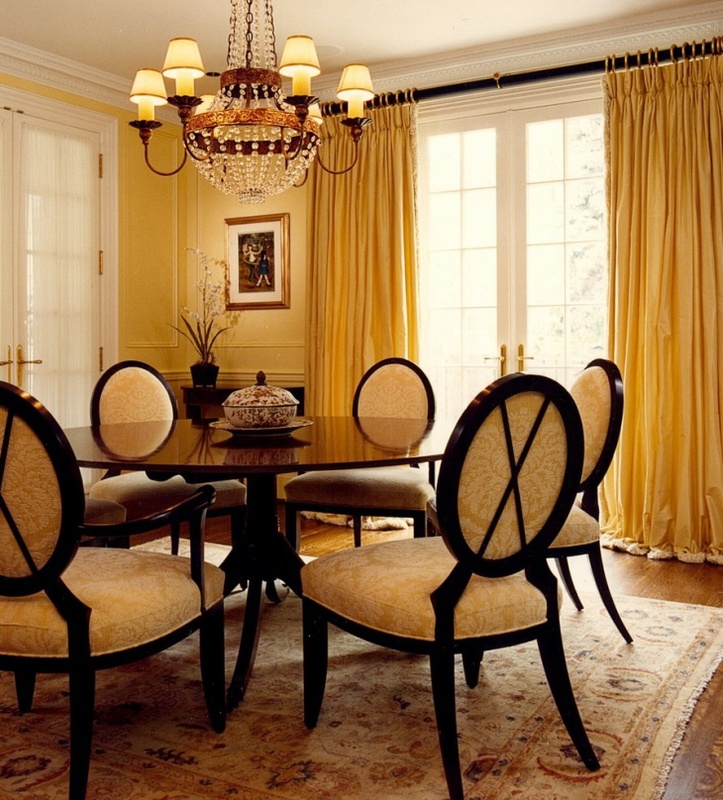 This gold shaded dining room shimmers elegantly in the glow of a chunky ceiling light. 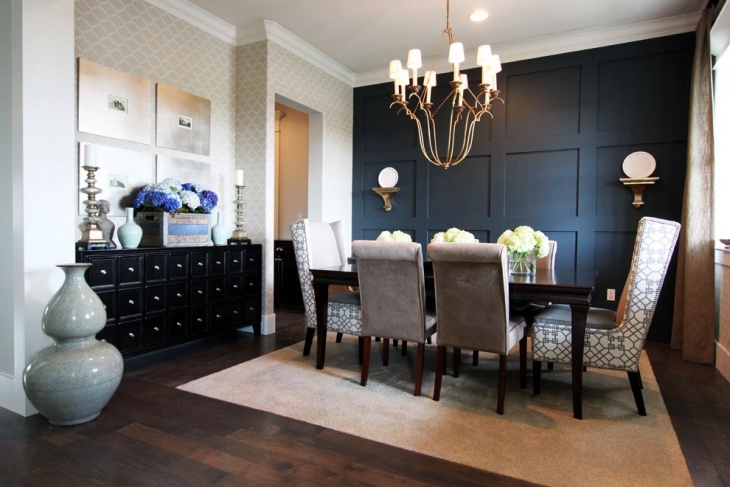 A drum pendant light with hanging crystal beads looks exquisite in this formal dining room. 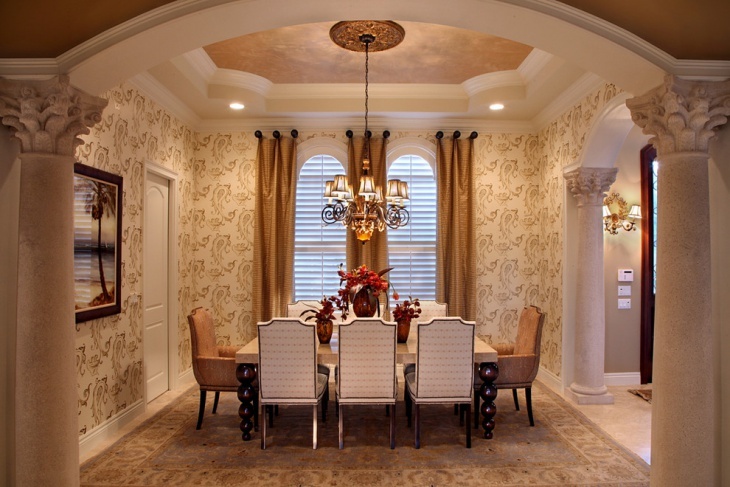 A round chandelier is perfect for placing at the center of a square dining table. 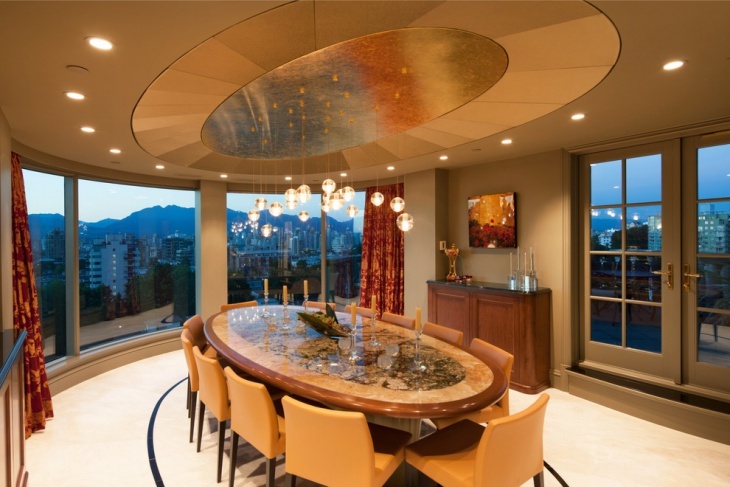 For circular designed ceilings, you need a large or an ornate chandelier to create an impact. 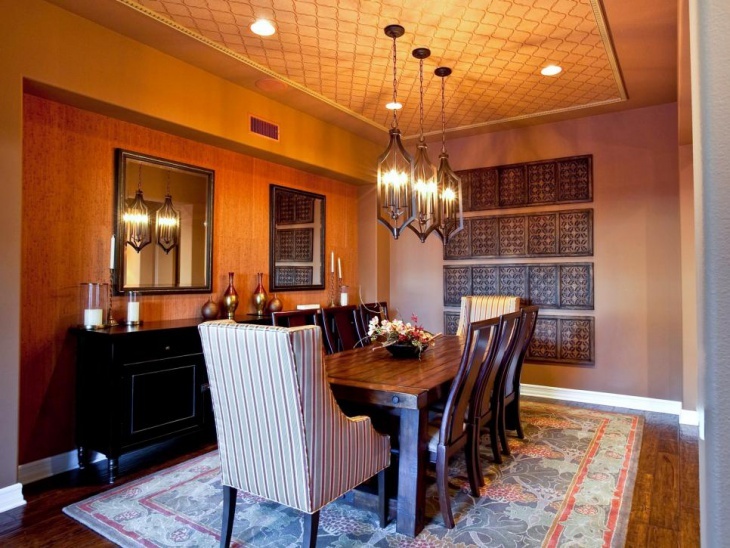 This ceiling pendant light adds a classic touch to the traditional dining room. This well-crafted, artsy chandelier lightens up the room with its dim, warm glow. LED ceiling light fixtures are a great choice for dining rooms for their durability and energy efficiency. 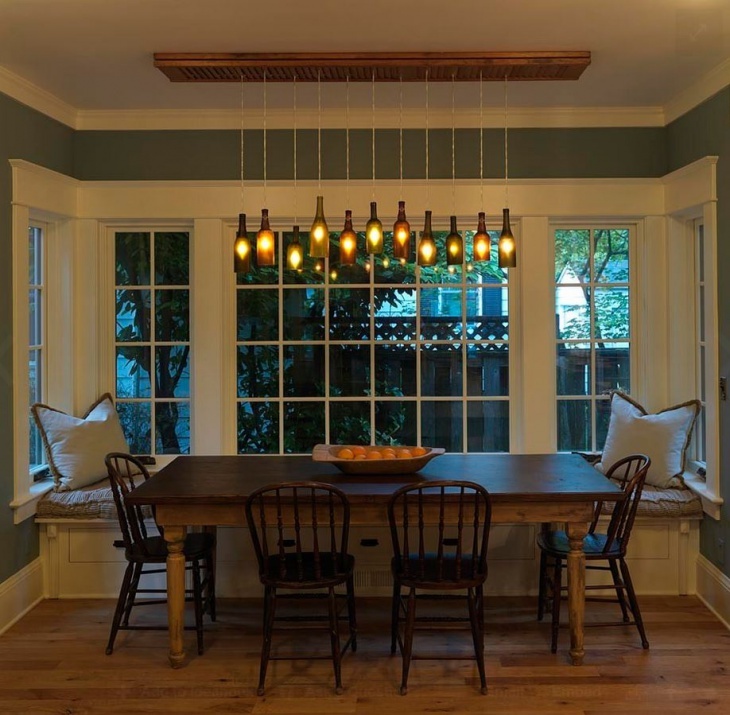 For high ceilings, you can choose a single large piece of a chandelier or a cluster of mini pendant lights hanging at multiple levels to illuminate the dining area. You can choose to hang the ceiling light high for a scattered light effect or low for creating an impact. 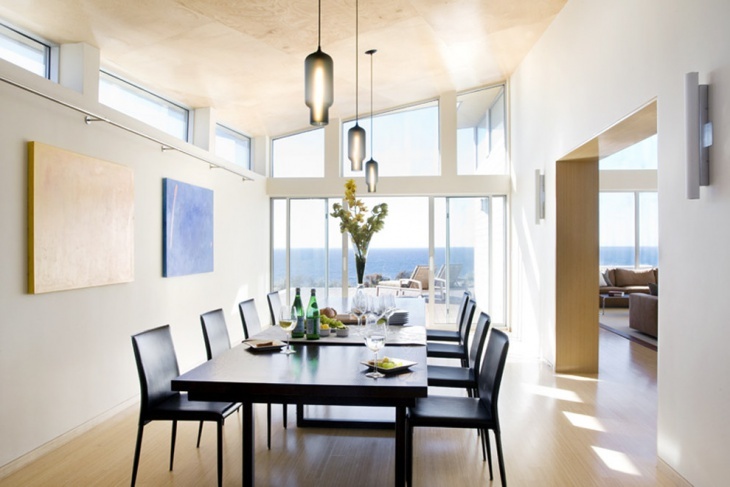 The choice for dining room ceiling lights is endless with modern fixtures that are also customizable in some cases. If you love creativity, you have the option of DIY chandeliers and handmade kitchen pendant ideas to make an impressive statement. For outdoor lighting, you should consider the environment to choose the suitable ceiling light fixture. Glam up your dining space in stylish pieces of ceiling lights for experiencing a glorious meal time.